Maximise your uptime with print speeds up to 18/19ppm. A LaserJet so small it can fit almost anywhere. Smartly and elegantly designed, so it’s simple and intuitive to use. This surprisingly small laser delivers exceptional quality, page after page. Help save energy with HP Auto-On/Auto-Off Technology. Speed through print jobs, using a pre-installed Original HP Toner cartridge. 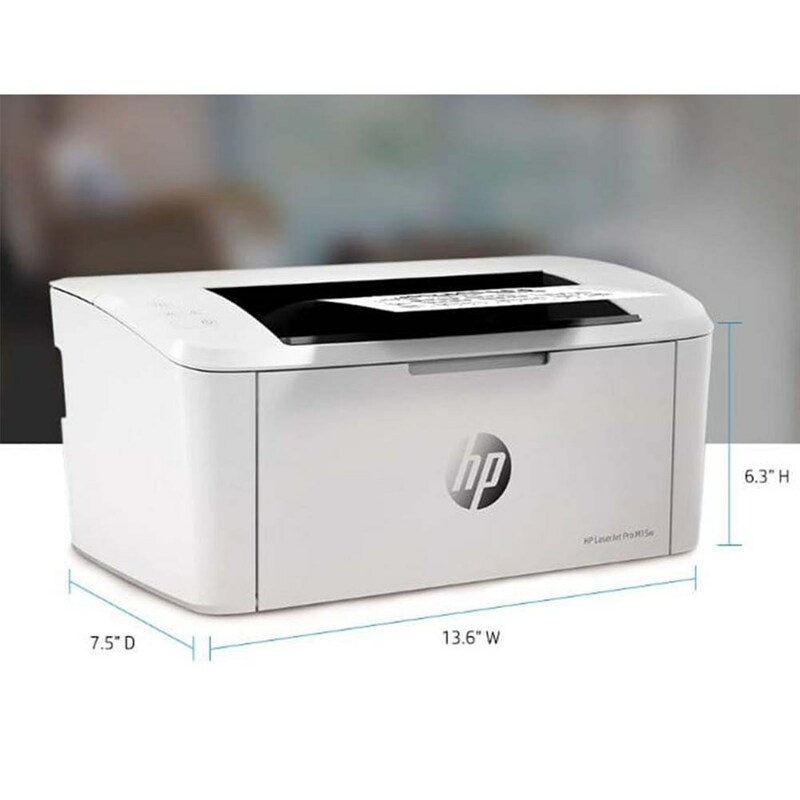 Print from the cloud, scan from your smartphone, and easily order toner, with the HP Smart App. Easily share resources – access and print with wireless networking.